If you haven't heard about animal cafes and you are an animal lover, then hold tight! You are in for a serious treat! The very first animal cafe was opened in Taipei in the year 1998, a cat cafe called the “Mao Hoa Yuen” meaning the ‘Cat Flower Garden’. After gaining popularity among the Japanese visitors, the Taiwanese cat cafe then took its fame to Japan and cat and animal cafes started booming there. At present, Japan is a country with the most animal cafes. In case you find yourself wondering as to what an animal cafe actually is? We’ve got the answer for you. 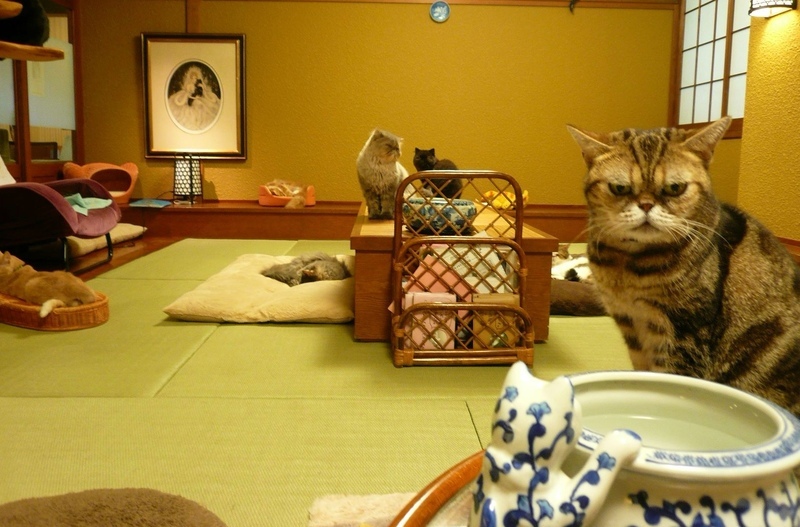 In Japan, there are typically two types of Animal Cafes. First one is where pet owners can take their pets just like any pet friendly-establishment. The other type is a cafe much like a zoo which has it’s own residing animals that a customer can interact with. Also, most cafes have light snacks and beverages available and these are the kind of cafes we shall be exploring. If you are all set to take a tour overseas for vacations and are an avid pet lover, chances are you would not want to miss the opportunity of meeting your favorite animals. This was the beginning of all the Japanese animal cafes. Neko no Jikan opened in Japan in 2004 as the very first Japanese animal cafe after taking inspiration from the Taiwanese cat cafe. Till date, this cafe is widely known around the area and is a popular destination with both locals and international tourists. Apart from the unparalleled nightlife, Bangkok has much more to offer, especially to animal lovers as there is no shortage of animal cafe in the city or country. TrueLove Cafe is focused on inspiring and spreading joy among animal loving community and a tremendous amount of unconditional love that only dog lovers would know. 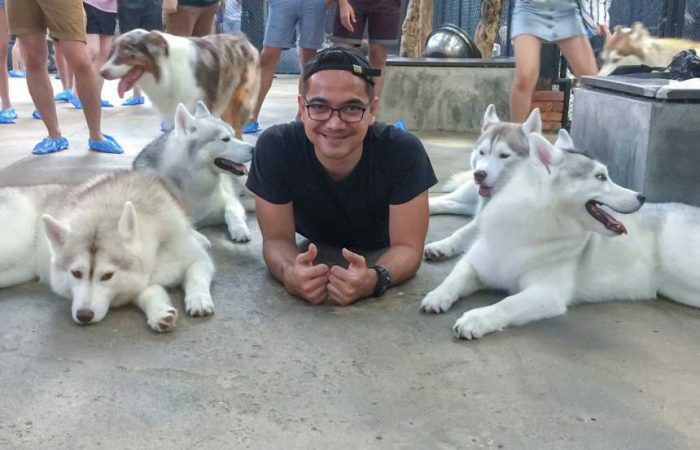 This cafe allows you to devour in creamy ice cream cakes that they proudly sell accompanied by the world’s most adorable yet graceful species of dogs: Huskies. The cafe has a unique entry as it isn't a walk-in cafe, neither advanced reservations are available. Instead, you are supposed to get onsite tickets to gain access to the limited spaced husky heaven rendezvous. The cafe hosts two sessions per day for the visitors to meet and interact with the bunch of playful fluff-balls. Due to their limited space, the tickets are on first come, first serve basis, to ensure that customers can spend quality time and have a great experience, so make sure you plan your day well ahead and get there on time. 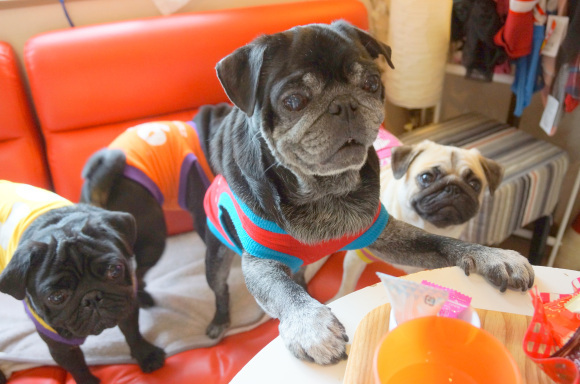 With the growing popularity of the animal cafes, many owners have established breed specific cafes in Japan like Pug Cafe, an excellent establishment that entertains customers with Pugs. Their interior is like a living room with plentiful snack options available for both; owners and their pets. Reservations are taken and are priced as per the time spent in the cafe. 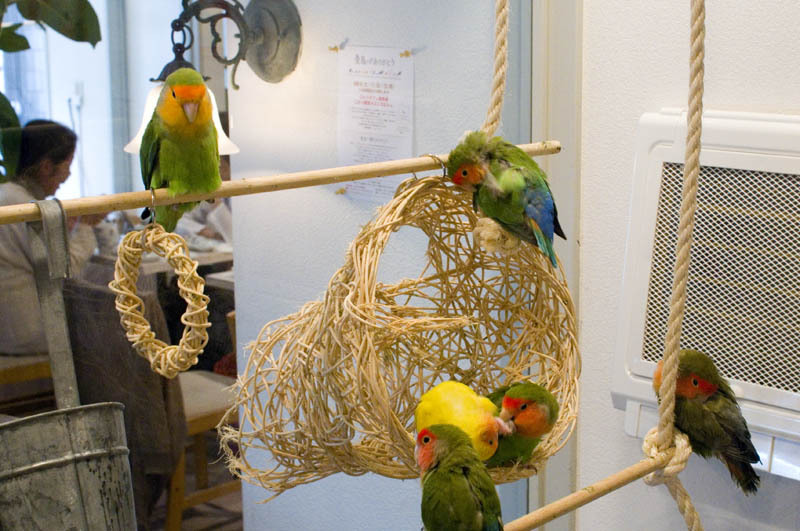 Kotori Bird cafe is a colorful and charming place that has birds on display. Kotori Bird Cafe abodes several chirpy chatty birds such as the Cockatoos, Lovebirds, Parakeets, and Budgies. You can enjoy the sounds of the birds and sit across them sipping your coffee while they sing their songs behind the glass wall. Are you a reptilian fan? Do you have plans for visiting Budapest anytime soon? Well, if your answer to both of these questions is yes, you’re in for a treat at Zoo Cafe Budapest! They allow you to have an experience of a lifetime. 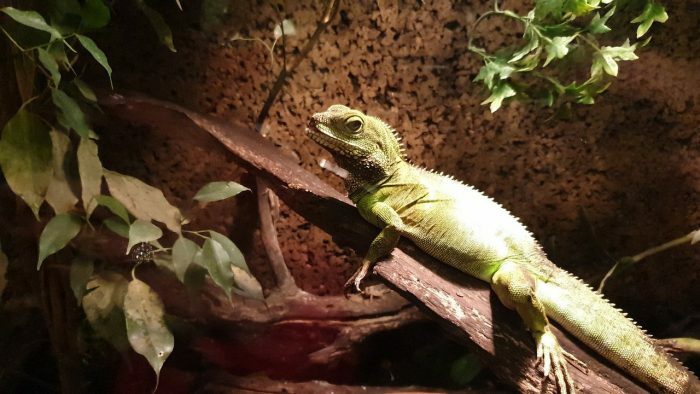 They have bearded dragons, iguanas, hedgehogs, Chameleons, Lion-head Rabbits and many other among the four-legged and winged creatures. But remember, they will provide you with the guidelines and rules before handing them out to you, so make sure to follow these rules to avoid any trouble! This cafe allows its customers ten minutes with the meerkat, but you have to take your shoes off to enter the cafe and perhaps order a drink to cover the entry cost. 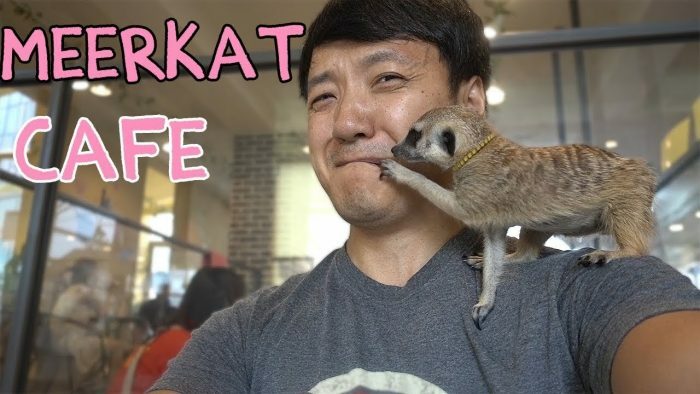 Apart from meerkat, the cafe also homes cats, raccoons, arctic foxes, and a other different animals that you would have to visit to know. 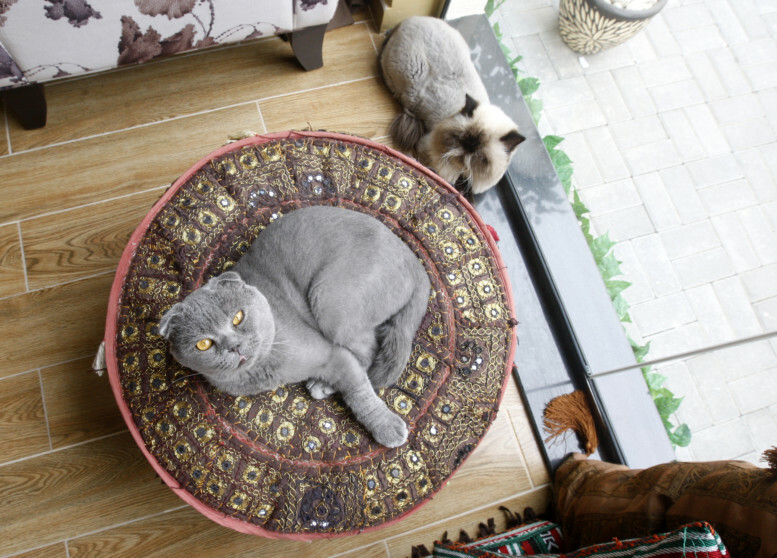 This is the middle-east's first proudly presented cat cafe! Cheers to them! Cat obsessed sisters have about 20 rescued cats who have safely been vaccinated, microchipped, neutered, and cleaned of any health issues. Their staff is extremely friendly and courteous, allowing you to relax at the cafe with cats while sipping a cup of hot coffee. 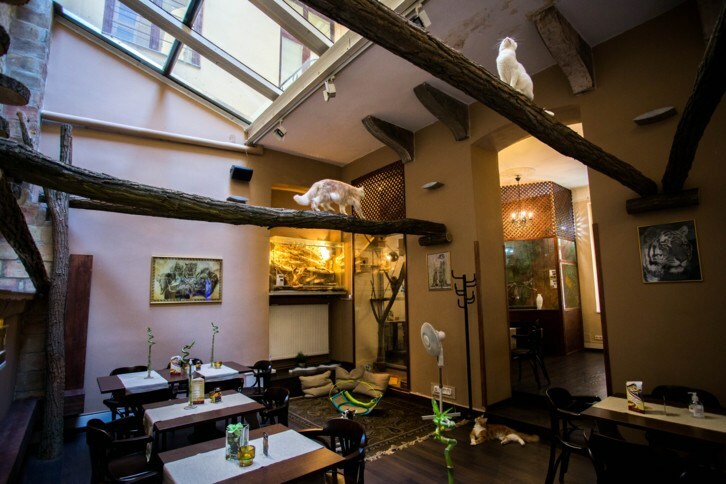 Owl Cafe in Moscow, Russia does not charge you for what you eat there, but instead, the money is calculated on the time spent in the cafe. The cafe abodes about six owls who have been skillfully domesticated, so the visitors can meet, pet and, stroke them. Romeow Cat Bistro is a popular cafe for both the felines and the food. This was created in inspiration to the animal cafes in Japan, but with a little twist to the traditional concept of it. The bistro offers amazing food, ranging from vegan to raw originals, as well as desserts with flavors influenced from all around the world. We are pretty sure you will find Kayabuki Restaurant as one of the most interesting restaurants of all. 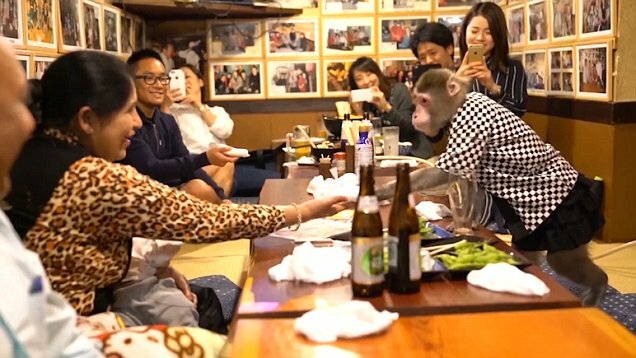 It is basically a normal restaurant, but what sets it apart is a special waiter: a monkey named Yacchan. As a matter of fact, there is actually an interesting story behind it. When the monkey had his first encounter with the owner, he would try imitating everything the owner did, which gave the owner an idea to keep him as a server to amuse his customers. Keep in mind that there is no animal cruelty involved in this job as Yacchan is only allowed to work 2 hours a day and live a comfortable life. 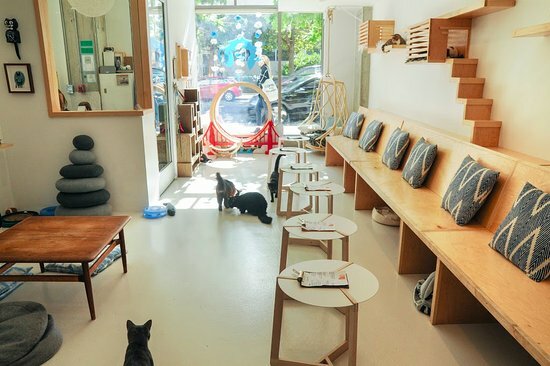 This cat cafe by far is one of the cleanest in china town, New York that offers more than just an encounter with the kitties. They arrange for bingo nights and have yoga nights as well. They even have these special hours for kids and families and the best deal of all is that all these cats are also adoptable so if you are looking for a pet, you would have a great chance to find one at Meow Parlour. Can I please move to India? We know that after reading this, you would definitely want to move to India as well! 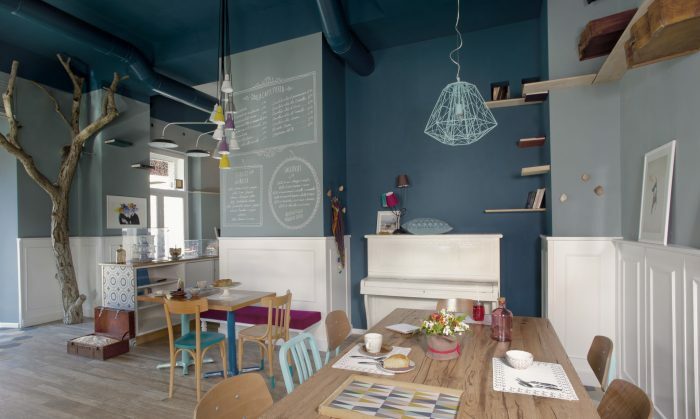 The Cafe Two’s and Fours is more than just a meet and interact with the four-legged lives. The cafe is an entire doggo day center, where they have doggie treats, boarding, and grooming for your best friend. This tiny cafe in the city of Harajuku has about three tables only for bunny lovers, who can pet, play, and feed about 20 different types of Leporidae. The cafe’s name is an acronym for ‘Rabbit and grow fat’ and is by far one of the most popular Japanese bunny cafes. 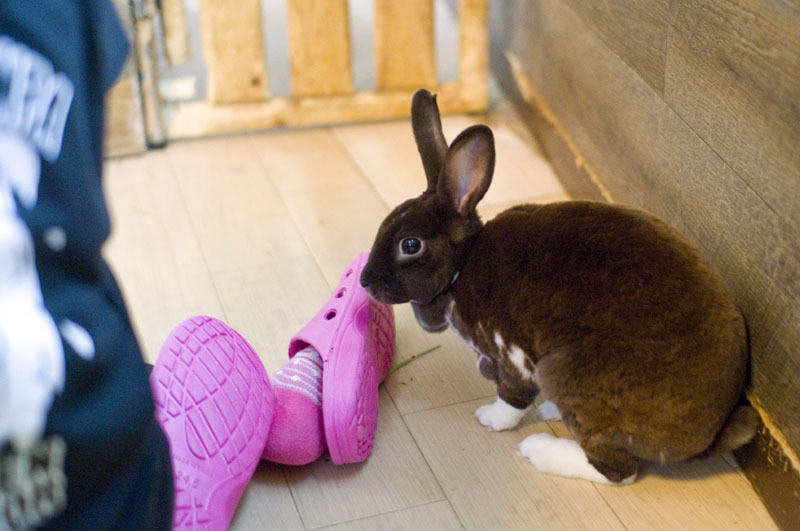 This cafe doesn’t only allow you to have some quality fun time with the rabbits, but also has a breeding center with the cafe that allows you the opportunity to adopt a rabbit, provided that they are up for it after the play. Did you really think California was going to let its people miss all the animal cafe experience? Well, no chance! This KitTea Cat Cafe is where you can meet with kitties (on reservations) while having your coffee exactly how you like it. They also offer the option of just watching the cats from a glass window. RE: CBD for Dogs: Myth or Miracle? Things to Consider Before Buying Cage for Your Pet. formulaswis on CBD for Dogs: Myth or Miracle?